Urban legends don’t always translate well to the big screen, but Sony is betting on the rich, albeit brief, history of the contemporary horror meme, The Slender Man. The movie, produced by imprint Screen Gems will be the first major studio release to directly adapt a “creepypasta,” or stripped-down, digital scary story. One of the best known and most controversial of the online tales, the Slender Man wound its tendrils into the deepest, insomniac message boards on the web, before expanding across our collective consciousness. The Slender Man mythology has now surpassed its humble origins, popularizing a new breed of online horror, and influencing mainstream film, TV, and video games. It has also impacted contemporary culture in some very painful ways. Now it's getting the proper big screen treatment, it's time to take a look back at how it all began. Turn off the lights, close the curtains, and learn the history and origins of Slender Man. Much like the oral storytelling tradition or an urban legend, it’s difficult to pinpoint the exact origin of creepypastas – adaptable, sometimes collaborative horror fiction that gets its name from a verbal mashup of 'creepy' and 'copypasta' (which refers to viral, copy-and-pasted text blurbs). Aja Romano notes in The Daily Dot that the modern terror tales are derived from early, anonymous writers whose tales were dutifully plastered across the Usenet and in emails during the 1990s. One of the recognized first creepypastas was “Ted the Caver” – which debuted in 2001 on an Angelfire site. The story consisted of a barebones narrative told from the perspective of a caver named Ted as he heads deeper into a cavern that grows progressively more disturbing. Since then, numerous, sometimes faceless storytellers have crafted fictions, often told as anecdotes from the first person and relating somewhat viable experiences in an easily reblogged or memed format. Their accounts usually reflect contemporary fears about inexplicable forces or technology gone awry. Much was the case for the Slender Man, although this particular creepypasta began life with a visual twist. “One of two recovered photographs from the Stirling City Library blaze. Notable for being taken the day which fourteen children vanished and for what is referred to as “The Slender Man”. Deformities cited as film defects by officials. Fire at library occurred one week later. Actual photograph confiscated as evidence. Knudsen claims he was inspired by Stephen King’s “The Mist,” H.P. Lovecraft, the video game Silent Hill, and the Tall Man from Don Coscarelli’s cult film, Phantasm (1979), with other possible influences stretching back to an eerie German folklore about Der Grossman (loosely, the Tall Man), among others. Knudsen’s fiction and photos caught the imagination of the forum readers, who added their own ideas and aspects to the eerie, child-kidnapping nightmare-fueling figure that dwells in desolate places. And from there, the Slender Man only grew. The Slender Man slowly became a folklore phenomenon, inspiring numerous retellings and other creepypastas. The pliant horror format also took hold in idea cauldrons like 4chan and Reddit, spreading across the web through forums, YouTube channels, websites, and wikis and encouraging countless adaptations of creepypastas across numerous media formats. Of particular note for Slender Man is an early web-series named Marble Hornets. The low budget project, created by Joseph DeLage and Troy Wagner, aired sporadically on YouTube from 2009-2014, spawning three seasons and 92 webisodes ranging in length from 1 to 25 minutes. The semi-linear tale followed a man obsessed with a student film project that went south after a certain willowy figure began to pop up on-set. The shorts also helped define the concept of Slender Man (or The Operator in the series), giving it an insignia – a scrawled ‘X’ in a circle – as well as the ability to spectrally influence its victims. Sadly, the now-prevalent horror story also inspired some real-world horror as well. In 2014, two 12-year-old girls from the Milwaukee, WI suburb of Waukesha brought a classmate into the woods, stabbing her. 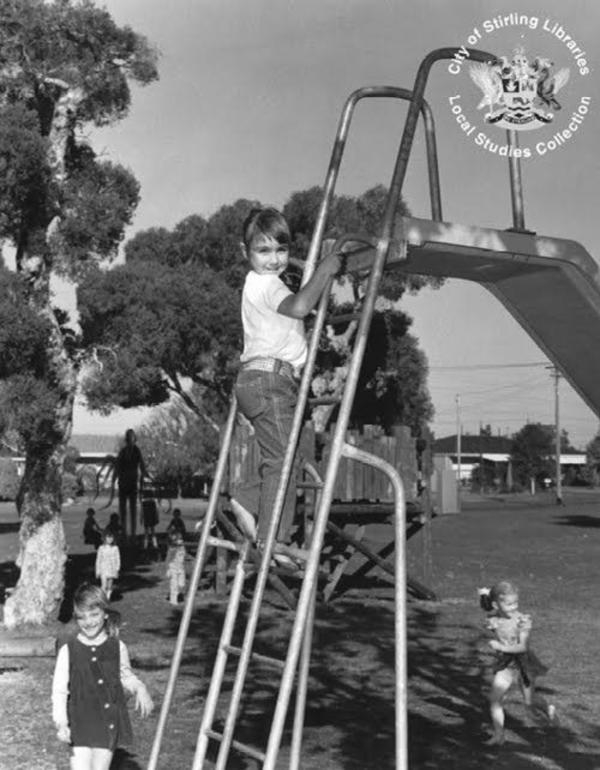 When caught, they blamed their actions on the Slender Man, claiming they had to sacrifice their friend to the malevolent force in order to save their own families. Both young women were later diagnosed with mental illnesses and sentenced to extended stays in psychiatric hospitals. Their case also became the subject matter for the HBO documentary, Beware the Slenderman. The creepypasta was also linked to several other cases that same year. In Florida, a teen girl was purportedly driven by the character, as well as the Japanese Manga Soul Eater, to set her house ablaze while her mother and brother were still inside. Fortunately, everyone escaped unharmed. Slender Man, which bears similarities to certain "suicide spirits", reportedly sparked a rash of suicides and attempts on the Pine Ridge Indian Reservation during 2015. Along with the controversy, though, also came a lot of media attention, which, naturally, means adaptations.